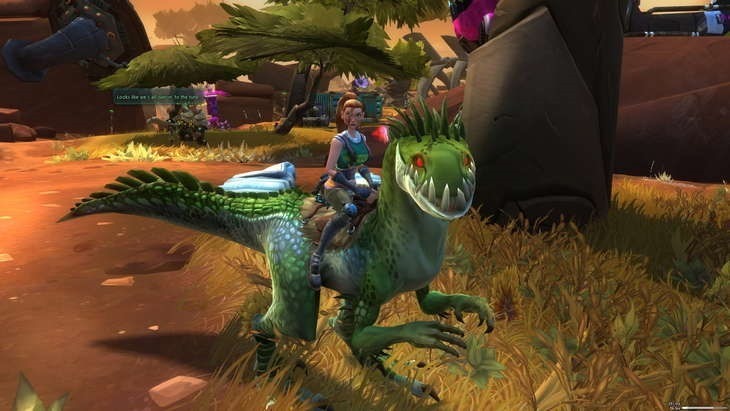 WildStar review – Welcome to Nexus, Cupcake! Reviewing MMORPG’s is always a darn tricky affair. They are filled with dozens, if not hundreds of hours of content, many, MANY acres to explore, millions of quests, and of course, a variety of classes to choose from which plays a part in dictating how you experience the game. 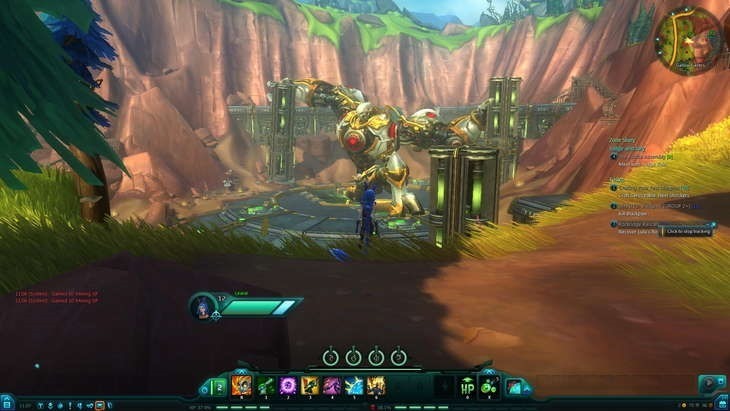 WildStar is no different, offering up the experience you’d expect, but with its own crazy flavour. I’ve spent twenty hours in game, spread unevenly across two classes from two opposing factions. I’ve barely dented what the game has to offer, but I already know that it’s something I’d be happy to spend more time with. 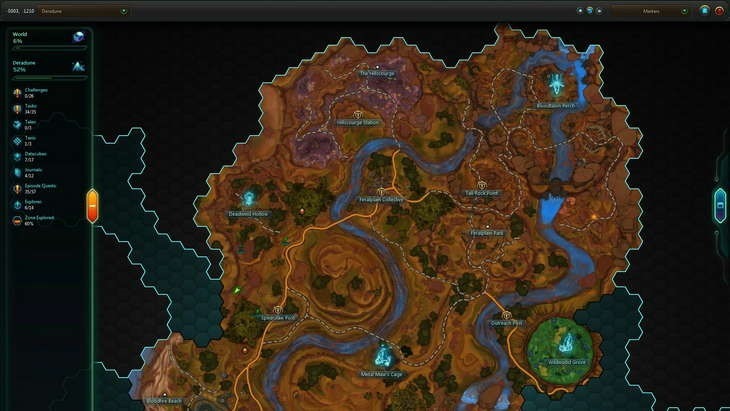 WildStar’s playground is Nexus, a planet that has just been discovered by two factions. The Exiles are a ragtag bunch of folk, looking to make Nexus their new home. Not far behind them are The Dominion, a super power looking to claim Nexus as their own. Character creation is surprisingly limited in terms of customising the aesthetics of your character. Messing with your face is fine, and tiny details can be fine tuned. Everything else though gives you very little in terms of customisation. You can only choose from a handful of options for your skin, hair, and eye colour. There are also a limited number of hairstyles and accessories to choose from. It’s really a minor gripe though because the gear you pick up in game will allow you to really customise the look of your character if you wish. There are a total of eight races to choose from, four for each faction. You can choose from the Dominions completely evil looking Draken (claws, horns, OMG SO EVIL), or the Exile’s Aurin (fluffy tails, incredibly cute, AWWW) . Each race has its own unique look and history that accompanies it. Your biggest choice really boils down to the class that you choose to play. There are six to choose from; Warrior, Engineer, Esper, Medic, Stalker, Spellslinger. I opted for a Spellslinger on my Exile character. Much like the name hints, you dual wield pistols, but you combine their firepower with some pretty awesome spells and abilities. My Dominion character was a Stalker, a class that excels at stealth and deals out a hefty amount of damage. Different Paths can work together on some of these side quests too. I discovered an opening which lead to a network of caves. I explored the whole area except for one section, a section that was blocked by a wall which only a Scientist could destroy. If you’re looking to play the game with friends, try select different Paths because you can unlock some pretty darn cool rewards and buffs for the whole party if you all work together. Path quests aside, the main and secondary quests are also quite enjoyable. There are the usual go do something, kill that, fetch this quests, but they hardly feel like a chore (at least to me they didn’t). There are also community quests spaced throughout, allowing complete strangers to work together towards a common goal. One quest took me off planet to a creepy outpost. I couldn’t help but feel that it was a homage of sort to the Alien franchise, and as pointed out by a familiar Wookie face, it had Dead Space written all over it too. It made for a nice change of scenery and enemies, a short but perfect distraction from the already crazy world of Nexus. Speaking of Nexus, the locales are pretty darn awesome. Once you complete the tutorial with your character (on your relevant factions space station), you get to choose two locations in which to land on Nexus. Both of these are completely different in terms of look, enemies, as well as quests. So if you’re looking to start a new character, don’t fear having to grind your early levels, because there is a whole separate area to do so. Keep in mind that it is two starting areas per faction, leaving you with a four new early level areas in which to start afresh. Each area has a distinct look, but you can see exactly where their inspiration came from. Deradune for example, was the area I spent my most time in, and it definitely feels like it was inspired by the wildlife and areas found right here in Africa. Vast veld, large cat and rhino like enemies, you get the idea. One area I explored was being created in Deradune itself by some large machinery. It was quite something to walk from the expansive yellow stretches right into a lush green forest in the space of a metre or two. The music is great too with each area having a distinct track to go with it. It can range from downright playful to deadly serious, and it was definitely one of the games highlights for me. For those who love closely exploring and finding lore, there is more than enough to keep you thirst for information quenched. There are journals scattered throughout for your reading pleasure. There are also Datacubes which narrate a history or brief explanation of the area you are exploring or the enemy you are fighting. One of the most important parts of any MMO is of course, the combat. 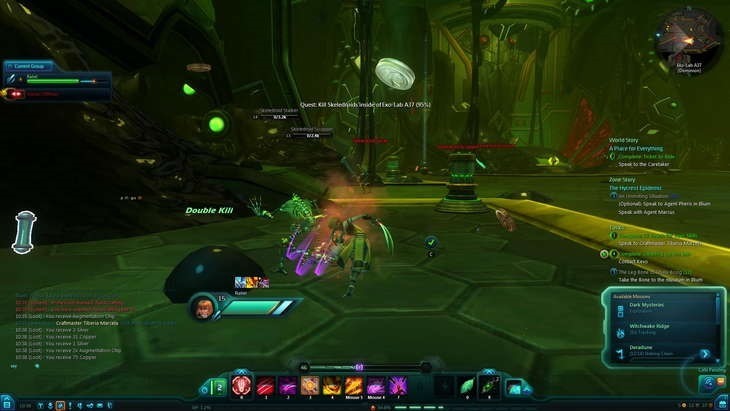 Sadly, I never got the chance to explore the PvP WildStar had to offer (bar one random encounter where I was challenged by another player when I arrived in a new area). Combat with the creatures and enemies however, I spent so much time doing, and I really enjoyed it. Most of your spells and abilities can be performed while moving, and moving is what you will need to do to survive. Enemies attacks are indicated by red markers on the floor which either fill up before activating, or merely hint at where their next attack is going to land. Worried about lag? Don’t, I never experienced one latency issue. The early levels are fine, you can pretty much tank anything that comes your way. As you progress though, you will find that ignoring enemies attacks will result in your untimely demise. I certainly died a few times because I felt I could take the enemy, or I was merely being ignorant and looking for loot and glory. Revival can be done at the location of your death either by spending some of your in-game currency, or simply reviving at a nearby station. Honestly though, with so many abilities, spells, and effects on offer to each class, customising your character and killing enemies never got dull for me. 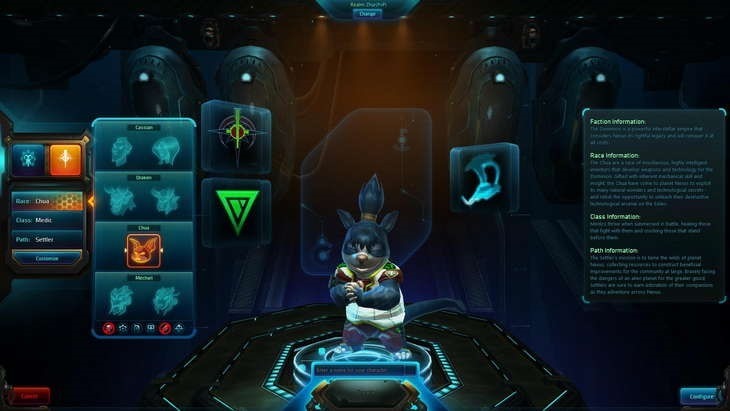 I really loved the look and design of WildStar, but I know it’s something that will put a few people off. For lack of a better description, it’s what I would call “cartoony”, but it just works so well and fits the game like a glove (or vice versa). 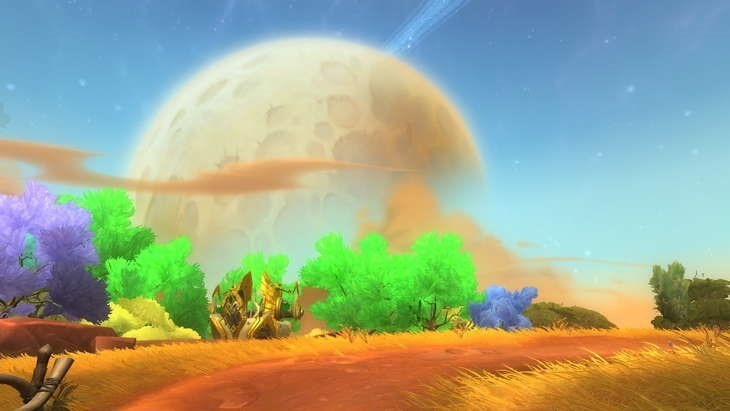 It’s just so gosh darn charming, and I feel people would be silly to dismiss the WildStar based purely on its design. The humour is awesome, and levelling up is all fireworks and guitar solos with the narrator saying stuff like, “welcome to the next level, Sparky!” I am a complete MMORPG noob. Yet, I was able to understand exactly how my levelling worked, where to go, what to do, and so on. The game is very welcoming to newcomers of the genre. Lastly, bugs. I was genuinely gobsmacked when I only experienced a total of one bug in my twenty hours with the game. This is not to say that they don’t exist somewhere else in the game, but my experience was almost perfect. I really have to hand it to NCsoft for ironing out the game before its release, especially considering that it is a MMO which has the potential to have lots of issues. 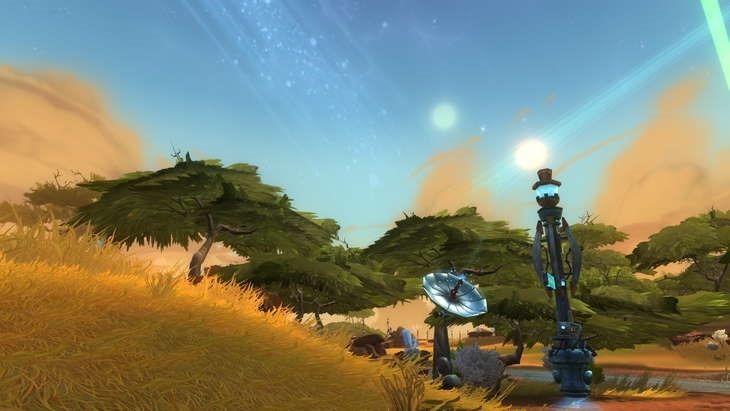 If you've never tried an MMO, Wildstar may be the game to get its hooks in to you. If you're a veteran, I have a strong feeling that you will like what is on offer.